Fashion trends come and go as quickly as the seasons and styles change on a monthly basis. All of this requires new designs and materials, which can take its toll on the environment. So, can the fashion industry be sustainable? It is estimated that by 2030, the fashion industry will need 50% more water, its carbon footprint will exceed 2500 tonnes a year and the waste created will near 150 tonnes per annum. Although many retailers and small clothing businesses are doing everything they can to minimise their impact on the environment, these statistics present a worrying prediction, especially with water becoming such a scarce commodity. Some brands are turning to sustainable cotton initiatives to reduce their water and energy consumption. New dyeing technology and chemical usage can also reduce the industry’s dependence on the waster grid by almost 50%. Despite the retailers and designers taking the relevant steps to reduce their environmental impact, the problem still exists on the consumers’ side. People buy more clothes than they need and this appetite for fashion is encouraged by rapidly evolving trends. Not only are more clothes being purchased every year, but more clothing is discarded as people try to keep up with the latest styles. The value of unused or discarded clothing is astronomical, especially in the wealthier homes of South Africa and the rest of the world. As innovation and artistic expression change, so do the fashion trends. However, the main cause of sustainability issues stems from fast fashion. One possible way to reduce the environmental impact of rapidly changing trends is to engage in ethical consumerism. Sticking to classic styles and timeless garments will stop the need to buy wacky but trendy outfits that will be out of fashion in a year’s time. However, it is not so easy to convince avid fashionistas that the latest fads are impacting the environment. Ethical consumerism has yet to become a well-known concept in mainstream fashion. Ultimately, it comes down to the consumer as an ethically-minded brand may do all that is necessary to reduce their footprint, but a long as the consumer requires a large demand for their products, these brands will need to meet the supply needs. Consumers may also be unwilling to pay higher prices for sustainable products. Cheap products from retailers that aren’t conscious of their environmental impact may be more alluring to South Africans who don’t have spending power. This is especially true in remote areas of South Africa where clothing competition is limited and the needs of the community are different. Consumers who purchase clothes for the thrill and excitement of it needs to start thinking about their buying habits. Fashion has become synonymous with social status and is driven by emotional desires. Therefore, we need to take a step back and objectively question our clothing purchases if we are to become more ethically-conscious consumers. Some retailers and brands are quick to point out that their garments are made from responsibly-sourced materials. This marketing trend needs to be questioned by the consumer; bamboo products are not always ethical, and cotton products aren’t always bad for the environment. It’s easier to simply turn a blind eye to these statements and marketing strategies, but some of them do hold truth. Since consumers will always follow their hearts, the solution to sustainable fashion may lie with the brands. New technology and business models need to be developed that will lead the industry to a less wasteful future. It will be challenging to change such a consumer-driven industry, but new business opportunities may exist within the sustainable fashion sector. This will entice innovators, entrepreneurs and designers to come up with more ways of producing sustainable fashion. 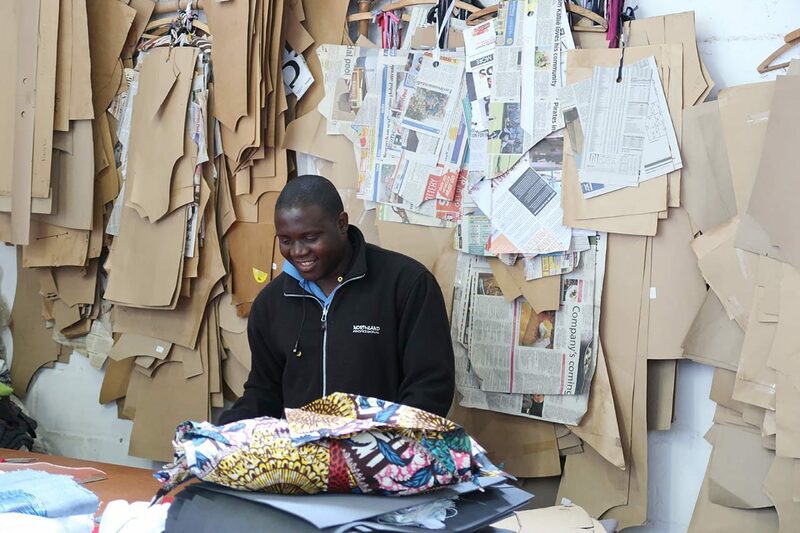 An African designer is leading the way for ethical fashion in London.